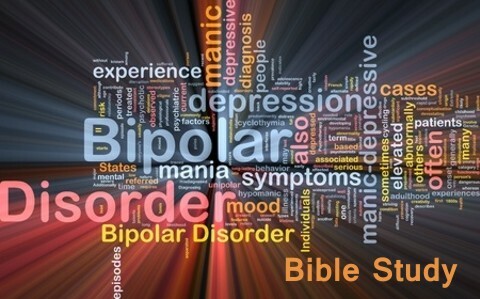 What Does The Bible Teach About Bipolar Disorder? Everyone knows someone who is moody. Sometimes they are extremely down and not wanting to talk to anyone and other times they are the life of the party. Often people who struggle with these swings of moodiness are diagnosed by mental health professionals as having bipolar disorder. This leads many Christians to wonder what does the Bible teach about bipolar disorder. From what we see in this description, bipolar disorder is sometimes called manic-depressive disorder. It causes unusual shifts in mood from low depression to highs of mania. The moods swings affect different people different ways and in a variety of time periods. Some swings occur daily while others are more in synch with different seasons of the year. There is a lot of debate about what causes bipolar disorder. According to the Mayo Clinic, the exact cause of bipolar disorder is unknown, but several factors seem to be involved in causing and triggering bipolar episodes such as biology, genetics, environment, and even trauma (2). However, many people believe that bipolar disorder is related to upbringing and spiritual issues. With abnormal brain function, objective medical tests can show that something is wrong. However, there are no objective tests to diagnose bipolar disorder, which leaves mental health professionals with limited options of dealing with bipolar disorder. How does the Bible define bipolar disorder? It is amazing how that people diagnosed with bipolar disorder who are receiving Biblical counseling will say, “That’s me!” when they read this passage of Scripture. The very term bipolar literally means “two poles.” This term presents a picture of a disorder that causes mood swings that shift back and forth between to polar opposites much like the shifting in and out of waves on a beach. However, the Bible calls it double mindedness. This double-minded thinking leaves the person with instability in their life. Thankfully, this passage also provides the solution to dealing with bipolar disorder Biblically. There is a foundation that must be in place before dealing with bipolar disorder. First, the person has to trust Christ as their Savior. This is because the power and the understanding to deal with bipolar disorder Biblically comes from the Holy Spirit living in the believer (1 Corinthians 2:9-16; Philippians 4:13). Second, they must be willing to accept that God’s Word applies to every situation in life (2 Timothy 3:16-17). Third, they must also be willing to believe that God’s wisdom will work as much as they believe God saved them (Proverbs 3:5-6; James 1:2-8) or else they will receive no help from God if these foundations are absent (James 1:6-7). When you find yourself in a depressed mood with its sadness and hopelessness or lose interest and have no pleasure in most activities or if you are in a manic mood where you feel abnormally euphoric and full of energy, immediate action must be taken. If you are a believer and are doing or experiencing things that are detrimental to you or is not pleasing to God, then you must focus on allowing Christ to control every thought (2 Corinthians 10:3-6). You must think of every decision as act of worship (Joshua 24:14-15). Immediately use firestorm prayer (Philippians 4:4-9) to get your mind on the things of God (3). Look for common thoughts, seasons, weather, or anything else you find that seems to be happening when your moods swings and write them down in a journal. If you have not had a physical in some time, get one so that you can rule out any contributing factors like low thyroid or other metabolism irregularities. Finally, Biblical counseling with a Pastor or mentor is invaluable. The Apostle Paul writes of this in 2 Timothy 2:1-7 and Titus 2. With Biblical counseling, you can learns how to deal with bipolar disorder Biblically, and affirm your value to God as His child. Lastly, you can also learn how to help others with bipolar disorder. When a person struggles with bipolar disorder they should immediately ask what they are feeling. If the thoughts are contrary to God’s Word, then they should evaluate their thinking to see if it in line with Holy Spirit produced thinking. If not, then firestorm prayer and meditating on 2 Timothy 1:7 and other Scripture memory verses is in order. If necessary, getting a recent physical if needed and a Biblical counselor or mentor should be sought. I need help I was born in October 31 Scorpio but i dont want to be bad I dont want to be with the devil I want to be good and helpful and be with Christ and god does that mean I am bad I dont want to be??? Hello Findley. Being born on Halloween has no more authority than the man on the moon does as both are equally ficticious. There is nothing to the date of your birth. Some IRS agents were born in April 15th but that doesn’t mean that they were born to be a tax agent. Please put no importance to your day of birth…it is more about the day you were born again…that is when you repented or turned away from your sins and trusted in Christ that is the most important thing. If you have done these things then that all that matters. I disagree Jack – it does appear some astro signs are more prone to bipolar. Libra, Virgo, Leo & Cancer. Of course any sign can be bipolar genetically or whatever reason, however some signs that are strong in it over the others ARE BORN IN OCTOBER. I usually RUN from Libras. Far……. Hello “Annoyed.” Jesus said an evil generation seeks after signs, so this is no exception if some people born certain times of the year are more prone to being bipolar. There is no scientific evidence to prove this, and in fact, it may be more genetically linked than anything, but to use the stars as such is an abomination to God, so I pray you repent of this for all such who practice such things will not inherit the kingdom of God. While I think there is your commentary is valid and useful from a spiritual perspective, it falls short of addressing the biological factors involved. Anyone who has lived with bipolar disorder knows there is a biological component which is usually amenable to medication and psychotherapy. (My family member has a competent psychiatrist, and psychotherapist, both of whom are Christians) The sufferer as well as family members need to learn to respond appropriately to triggers, etc. To ignore the biological component of bipolar disorder would be tantamount to ignoring the physiological components of cancer. Thanks for the comment Roy. I am sorry that this article was short of your expectations. However, the title of this article is, “What does the BIBLE teach about bipolar disorder?” Despite this, it is abundantly clear according to my mentioning of the Mayo Clinic, as well as other references I did not use, that it is unclear in the mental health and medical community as to the cause of bipolar disorder. To spend time in this article rehashing over 30 years of inconclusive research would be a disservice to those who came here to see what God says about the matter. Likewise, no competent authority would agree that a detailed overview and treatment plan for bipolar could be presented in an article of limited length such as this. However, since you asked, I will contribute a small bit of what I have learned in my medical experience, which goes back to the early 1980’s. I would respectfully submit that in the 30+ years of published literature, not one peer reviewed study has conclusively shown that bipolar disorder is biological in origin. There are a lot of published theories and convincing marketing, but none that demonstrate etiology, biochemically measured variations of “chemical imbalances”, differential diagnosis criteria, or biologically effective pharmaceuticals to treat the same. In fact, in my former experience teaching pharmacology and anatomy and physiology of the nervous system at the US Army Academy of Health Sciences, I am familiar with the standards required for getting FDA approval for any medication. Likewise, I continually to follow the literature on these life issues that I see in Biblical counseling every week. What I can tell you is that because of a Freedom Of Information Act request not many years ago and follow up studies, we have since learned that the vast majority of mood altering drugs on the market have been PROVEN to be no more effective than a placebo (sugar pill) at the cost of billions of dollars and destroyed lives in many cases. I realize many people may “know” there is a biological component, but even the mental health community is in disagreement with medical professionals of the same. The disagreement has been quite substantial and resulted in angry confrontations at conferences in some cases. A cursory review of the top prescribed mood altering medication’s pharmacology on manufacturer web sites paints a clear picture that even the drug companies do not know conclusively how their medications work nor what mechanism of action they are trying to address. Phrases such as “It is THOUGHT to work by…” or “It is unclear of the exact cause of…” or a host of other published confusions meant to give credence to their medication’s effectiveness is presented. In my “Introduction to Biblical Counseling” course we examine the pharmacology of three top mood altering drugs. By the end of the two classes, the students, some of which are clinical counselors, are blown away by what is published by the drug companies. If you look at the pharmacology of most other medications on drug company web sites, there are very clear specific physiological descriptions of what the drug does to the human body. Phrases such as “It causes the efferent nephrons to…” or “It prohibits the re-absorption of…” or other such biologically descriptive terms. The DSM5, which is the latest psychological diagnosis manual, has no differential diagnostic criteria. Instead, it uses subjective criteria such as what the person says of does as a basis for diagnosis. This has lead to a vast cottage industry of actors who have conned their way into getting full disability by saying and doing the right things to receive a debilitating diagnosis from well meaning mental health professionals. I encounter these people all the time, because they come to me for real help with life issues they dare not discuss with their mental health counselor, for fear of being discovered. I could go on for hours, but what I can tell you is that people who have been treated for years for bipolar as well as other disorders have experienced complete deliverance through Biblical teaching and use of Biblical taught interventions. I realize what I am saying may be offensive to some. It is not my intention to cast dispersion on the mental health professionals who earnestly want to help people. I am not here to paint any industry as crooked. I am here to preach Christ and Him Crucified and to help people have an abundant life in our ministry through the power of His Word at NO COST. When this is done, it enables us to love our neighbor as ourselves and to demonstrate the glory of God. I respectfully disagree that this verse is speaking of bi-polar disorder. I read it to mean that a man must seek Gods will diligently without fail. I am bi-polar and I am not double minded. Nor are any other bi-polar people I know. The verse imo is speaking of someone praying and worshiping different things rather than keeping their focus on God. Being double-minded is worshiping more than one thing. God. Putting money, sin and others above God in your concerns. The reason I am commenting is because I have first hand experience and do not want others to believe this. I mean no harm. As matter of fact I just don’t want anyone to be hurt by this because it is not true. Anyone can be wrong. It’s not a huge deal but telling Bi-polar people this could cause great harm. So forgive me but on this one you got it wrong. Thank you. Greetings Anna: Thank you for your comment. To understand James 1 you have to look at the context of the passage starting from the beginning. The context of the passage begins in verses 3-5, which are an abbreviated version of Romans 5:3-5 that deals with tribulations or troubled lives, not worship of things. It continues in James by saying that if we lack the wisdom to deal with these issues we must ask God in faith, nothing waivering. Doublemindedness occurs anytime we do not set our minds on what God says in His Word without waivering. Hence the result of our minds waivering back and forth between trusting God and not trusting God in what he says about the situation gives variations of moods and feelings between euphoria and depression or anxiety. Jeremiah 17:9 tells us that the heart is deceiptful above all things, and desperately wicked, who can know it? This is telling us that our feelings will deceive us where we will have no stability in our thinking so that we do not know what to do. This example of the waves moving back and forth between opposite moods and mental stabilities really makes an impact on every person with a bipolar diagnosis I have counseled that has read it during a session. When we work through many other passages and really embrace what the Bible teaches and actively do what it says, they all experience deliverance from their bipolar symptoms. Most actually go back to the doctors who prescribed their medications after several months of peaceful thinking and get weaned off their medications. Those times they have a return of symptoms, a quick review reveals that they are not using the techniques they learned as faithfully as they should until they become habits. There is so much more I could tell everyone, but 15 years of seeing God deliver those who trusted his wisdom of how to deal with this has shown me that it really does work even without medications. I am thinking now that the been on Prozac for 20 years and going through withdrawal has altered my brain. An altered mental state. Does anyone else have this experience and how to mend the brain with scripture. Wish I had never taken them. Okay, in response to Anna who seems to be twisting the truth in the typical, argumentative fashion that a bipolar person would: Let me refresh you on the truth which you have renounced for the sake of arguing. Bipolar people are without exception mean, aggressive, selfish people who are controlling, hurtful and abusive. They are unstable and easily offended and the moment something doesn’t go their way, they snap on anyone and everyone around them. The reason that they are unstable or ‘double minded’ and easily enraged is because they do not rely on the wisdom or love of God to teach them how to live their lives. Instead, they stubbornly refuse reason and go about their own devices which almost always blow like the wind. The sad part is that the pharmaceutical industry is taking advantage of everyone by calling evil a ‘disorder’ and then charging you for meds that often make you sicker than when you started. Think about it. Men are no longer doing something bad when they get drunk and evilly beat their wives- it’s just a disorder. Murder- oh, that’s just a condition. Give me a break. We all were born with a conscience and we all know that these things are true. Some of us are just to stubborn and set in their own ‘double minded’ ways to admit it. Nice article, Dr. Williams. Brilliantly spoken. As for me, I’ll stick with the Lord!! Shawn, do you rely on the wisdom and love of God to guide you how to live your life? If so, I would remind you of the verse: “Why do you look at the speck of sawdust in your brother’s eye and pay no attention to the plank in your own eye?” Matthew 7:3 – 5. It is the height of criticism and self-righteousness to judge and lecture on those who don’t cope with life in the same manner as you, because you too are imperfect. Your persecution of Bi-polar sufferers is full of hate and resentment for something perhaps you don’t understand well enough. I was diagnosed with Bi-polar three years ago at the age of 23, so am naturally in defence of myself and others with the illness, from your accusations. Briefly, I think that to define Bi-polar merely as ‘double-minded thinking’ is to misunderstand the entirety of the disorder. How about triple-minded thinking, or multifaceted thinking? To be ‘unstable’ is to imply all people with Bi-polar do not know their own minds, and I’m sure many sufferers would claim the opposite. To say I am never mean, selfish, controlling and hurtful would be a lie – for anyone. I am human, therefore I err. Besides, any fluctuation of anger, anxiety or happiness should not be solely attributed to a mental health condition because it would, in turn, alleviate myself from taking responsibility of my behaviour. This is the difference between those whose illness controls them, and those who suffer from the illness yet have God at their side. To be Bi-polar does not automatically assign you with the aforementioned attributes. Neither does it make you evil; it makes you struggle that little bit extra with fears and anxieties, thoughts and desires which are, without exception, capable of manifesting in anybody. It is, in many people, seen as both blessing and curse. Myself, I would not have been as successful as I am in my studies or career had it not been for aspects of my personality that have enabled me to persevere in the way that I do. I consider God to be with me all of the time. I consider my depression to be a gift. It took me out of a very selfish stage of my young adulthood, brought me closer to God, made me deeply compassionate, understanding and provided me with a perspective of others and life that I think you are lacking. I would urge you to find love in your heart for all people, despite their flaws. Perhaps you have been hurt yourself by somebody with Bi-polar? God knows I have been hurt by many people without. How would we go about delusions grandeur? My Girlfriend and I are both Christian, my girlfriend recently started reading the bible last month for therapy, she had another episode, and now insists she married Jesus, and ran away to the mountains to pray for the worlds tears-unify earth. It’s not that I don’t believe Jesus touched her, .. call me crazy but I think the OTHER side is in her too. What do I do? Is there any kind of REAL Christian therapy for this? Could you recommend some? One of the biggest problems with ‘sane’ people discussing Bipolar disorder is that they always do it from the perspective of a ‘healthy’ mind. When a person is having a bipolar episode they’re not rationalizing using a ‘healthy’ mind- there’s psychosis involved. You mentioned (paraphrased) “when the person feels they are manic or depressed immediate action should be taken”. I can’t “feel” when I’m manic. I feel “normal” (albeit limitless) when I’m manic. And if people try to tell me I’m manic, and not being rational, I believe with conviction that they’re lying (and/or whatever strange thing my brain is telling me is true). More than that, when I’m in these states, my mind lacks the flexibility to bend to other perspectives. Nobody calls 911 when they don’t think there’s an emergency. I CAN feel when I’m depressed but my delusion rationalizes that God hates me, is unresponsive to me, and made a mistake when He made me. Again, my mind is inflexible and can’t be rationalized with. I can spend every moment of my life pouring through scripture verses that prove this is a lie but when I’m depressed it CAN’T be believed- no matter how hard I pray for deliverance. Medication is the only thing that keeps me on an even playing field. With medication, I have a foothold from my symptoms to do the necessary homework to stay well and keep my behaviour in check. You can argue some skewed statistics about placebo effect but I can guarantee if you ever tried my dosage of anti-psychotics it would knock you out, for a 3 day nap, no matter what your opinion is about their efficacy. They work- and they work well! As far as the scripture reference you cited- I believe you’re taking it out of context. This choice of scripture also demonstrates an overall lack of insight people have into a mentally ill mind. A person with Bipolar is not “double minded”- they are single minded in their perspective (even if that perspective is wrong at the time). This isn’t an issue of the mind lacking wisdom, it’s an issue of the mind being altered by a temporary state of chemically induced delusion. Please don’t take this as a defensive criticism. I understand the struggle of trying to reconcile with something like mental illness from a Christian perspective. I’ve struggled for years with God’s choice to not remove this thorn from my flesh. I’ve not always made good choices (and I ask God’s forgiveness for those sins- we are all accountable for our sins even the ones committed blindly) but I have also seen numerous times where God has mercifully rescued me from situations when my control was impossibly comprimised. Bipolar patients need to be proactive in their health- including the use of medication if necessary. I still need to pray for God’s deliverance but I need to do it BEFORE I’m in an episode because during an episode is too late. That’s the nature of this illness. As for Shawn. Wow. You talk about all Bipolars, without exception, as being mean, aggressive, hurtful, selfish etc. This is not a Bipolar thing, this is a natural human thing which you’ve demonstrated with your own hurtful, mean, aggressive and self-important rant (but you’ll probably justify your error by claiming that I’m one of those “easily offended” Bipolars who should not be offended by someone reminding me off the TRUTH that I’m horrible and stubbornly wicked, without exception). You also ended your rant with “As for me I’ll stick with the Lord”. What Lord are we talking about here… the one that’s selfish, hurtful,mean and lacks compassion? There’s only one lord I know like that and you’d be wise to keep your distance from him. And Julie. I pray that God continues to give you the gift of insight as you struggle through your illness. I hope you remember to thank God each day for supplying you with this gift that He, unfortunately, does not grant every sufferer with Bipolar. I would also hope that, like Shawn, you don’t allow God’s blessings to become spiritual arrogance. God blesses whoever He chooses in whatever way He chooses. I’ve learned to be thankful for God’s will for my life. Bipolar maybe a thorn but it’s still a blessing. It is a daily reminder that without God’s mercy I am lost- both in life and in death. And I pray that God can still use me in this world despite my brokenness. I’m sorry Shawn but I just partly disagree with you. Not all bipolar people are mean and and have to have their way. I am bipolar and it is a lot harder to live with than you think. I have lost control and I sin but no one ever sees how some of my behaviors are triggered or how much I hold back and try to not let it get to me how much prayer it takes and I still am not quiite there but I think it is wrong to generalize and judge a person because of a condition most people don’t believe is legitimate. The racing thoughts that can cause mood swings the depression where you fight even though you don’t see a point but you do it because it’s what God wants for you. When you live in a house where all your brother does is bash women and you let it go and try not to let his bitterness affect you when you are stuck listening to it day after day because your child is asleep or is playing in the room you’re in and the only choice you have is to pick yourself away or risk finally blowing up after you try to be nice and say I don’t want to hear it just to have him yell at you and tell you to get out of a house that doesn’t belong to him because you both are moving with your parents, when you can’t always escape that statement you made is unfair because their are some people out there who do try but after so much pressure they burst just like anyone else. Don’t judge until you have seen a situation until you’ve walked in it because I suffer more than anyone knows through guilt, anger, depression, and constant hearing woman bashing where I live and I have no escape. That’s why I came here because I ant to know how I can get through this how I can be saved from this how I can fix and control my feelings. What you said is actually quite hurtful and depicts all people with bipolar as monsters. We sin no more than anyone else it’s only in other ways and more obvious ways. I’m not mad at you or yelling or angry but it is very hurtful that one more person out there considers me to be a monster. Hello. I appreciate that you are trying to make a difference and making great efforts to embrace the mentally ill within the Church (she could use more of it). I can also appreciate the time and effort spent on posting articles such as this. I respect the experience you have in dealing with people struggling with this illness and other ones as well. I too have counseled others, and I too am a senior pastor at a small church in CA. I must say that biblically, the Bible says nothing about bipolar disorder specifically. The text in James that was mentioned (1:8) applies to any believer that would ask of God. It says nothing about if you feel one way and then another, then you will not hear from God. It has to do with doubt. A person can be manic, deeply depressed, or somewhere in between and if they do not doubt they will hear from God just like any other believer. Contextually speaking this is more logical anyway. James wasn’t specifically written to us, but to his audience first and foremost almost 2,000 years ago. It seems highly unlikely that he would have been talking to people with bipolar disorder then as we make up so very little of the population as a whole. The implications that are being made here are unbiblical and need to be reconsidered. The fact is that there are mental illnesses, and God has allowed them for whatever reason. Generally it has nothing to do with the demonic as it is chemically based. Demons definitely seem to look for ways to take advantage of those experiencing episodes, but that is all. We cannot take everything in this world and package it up and stamp it with a verse, send it off just so the world makes sense to us, and the same goes for God and his ways. I do not believe in a “deliverance” from bipolar disorder as that implies demonic possession of a person and their bipolar the result. I do believe that healing is possible, but just as with any miracle, we shouldn’t expect it to happen every day. Biblical aspects aside, no matter how much experience one has, no matter how much they’ve studied, there are some things one cannot understand until they walk in the same shoes as that person themselves. This is true for alcoholism, cancer, hiv, or anything else really. The same is true with bipolar. I have bipolar and I have had it for 30 years. There were some good points in this post and I thank you for them. Please continue to be careful when writing about things like this. God bless you. Next post: What Is The Spiritual Gift of Exhortation? How Do You Know If You Have It?